The millennials (aka Generation Y) are stereotyped and maligned perhaps more unfairly than any generation that has preceded them. Labelled the “me-me-me” generation for their so-called narcissism, just how do companies attract, recruit and retain this socially conscious group? For Millennials, social responsibility is the new religion. 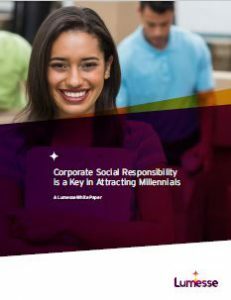 Corporations looking to recruit the best talent from this generation, take heed: Corporate social responsibility is one of the keys to connecting and maintaining relationships with this generation. Millennials might be just as likely to switch jobs as they are to switch brands as a consumer, so realistically do what you can to engage these Millennials in your virtual and real-world community. Continuously grow the pipeline with new connections. Listen to them.